DETROIT -- To get General Motors Co. firing on all cylinders, CEO Daniel Akerson needs to fix Opel/Vauxhall. But the sputtering European unit has in the past been affected by short-term financing problems at the parent company, leaving Opel without a clear road map to profitability, people familiar with the company say. Opel remains a high-cost player in a low-growth region, in a segment hit by cutthroat competition, leading to speculation of a sale or labor concessions. However, neither a sale or a quick fix to return to sustained profitable growth are easily achievable, analysts and experts say. "GM is frustrated with Opel's turnaround," said a person familiar with the matter who asked not to be identified. "Opel has been a challenge for years. "Europe is hard," another person familiar with the industry said. "There are so many structural impediments in the auto sector, which is so tied into cultural, media and political dialogues that it becomes very hard to make big changes, and big changes are often times what's needed really to solve the issues." Akerson, an executive with a background in private equity, faces the challenge of running a large industrial company, where decisions are closely watched. On the one hand, GM faces political resistance to plant closures and job cuts. Growth is also limited by a reluctance to expand Opel's geographic footprint on fears the brand is too regional and would cannibalize market share gleaned by other established brands within GM. The U.S. automaker dropped plans to sell Opel in 2009 after months of negotiations and embarked on a drastic restructuring to get the unit, which lost $1.6 billion last year, back on track. GM filed for bankruptcy in 2009 after the U.S. housing downturn and a spike in gasoline prices the year before caused consumers to turn away from its high-profit but fuel-hungry trucks and SUVs. It emerged 40 days later thanks to a $52 billion U.S. taxpayer-funded bailout and in its restructuring dumped four brands in a move to focus more on Chevrolet and Cadillac. GM's sales have since rebounded in its home North American market and profits are strong in China, but Opel remains an unprofitable thorn in its side. Akerson has never been much of an Opel fan. He was one of only two GM board members in late 2009 to vote against keeping it, believing Europe was a market of national champion automakers -- Volkswagen AG in Germany, Fiat S.p.A. in Italy and Renault SA in France -- and pan-European luxury brands like BMW AG and Daimler AG's Mercedes-Benz, a person familiar with Akerson's thinking said. Opel is neither and Akerson believed it would be a long, uphill battle to fix it. At last week's shareholder meeting in Detroit, Akerson was clear where Opel stood. "We're going to try to define a slightly different brand and product strategy by having a global premium brand, Cadillac, and a global value brand, Chevrolet," he said. "Then we will flank those two global brands with regional brands such as Opel/Vauxhall," he added. "That would be a brief outline of what I think we need to focus on over the next three to five years." That is a hard pill to swallow for Opel executives who believe their company could be a global brand. "There has always been inside of Opel a little independent streak," said the first person familiar with GM. "It's Germans thinking Americans don't know what the hell they are doing." Turning Opel into a global brand is not likely, however, analysts and industry officials said. "What would be the benefit financially to General Motors to support Opel on a global basis? The payback probably would not be sufficient," Jefferies analyst Peter Nesvold said. "You need to pick the brands that have the most likelihood of success and concentrate your marketing dollars behind them," he added, pointing to Chevrolet and Cadillac. It is that focus that led to reports GM is weighing an Opel sale, something Opel officials have dismissed as speculation. However, U.S. brands like Chevrolet have not proven as popular in mature European markets as established brands like Opel and Vauxhall, a move that would make it hard for GM to substitute Opel with Chevrolet. Industry executives have long argued for the need for consolidation in Europe, which has been plagued by overcapacity and high labor costs for years. However, automakers there have not undergone the sweeping restructuring seen by their U.S. counterparts. Opel is expected to break even this year and show a profit in 2012, but its management has said it will likely take about five years to restore the brand's image in its home market. A sale of Opel could be a challenge in the near future because of the heavy degree of technology and platform integration between the unit and the rest of GM. And that does not take into consideration the resistance any buyer wanting to close plants in high-cost Germany would face from the government and Opel labor leaders, two people close to Opel said. The Berlin government is unlikely to provide any bridging loans or guarantees needed to expedite a sale in the way it offered to help Canada's Magna International back in 2009, these people said. So if Opel remains a European-only brand and a sale is tough to pull off, analysts and bankers see an alliance or joint venture as an option to cut costs. "If you can't have Company A buying Company B for political or regulatory reasons, you have to start thinking about these other sorts of transactions because otherwise these companies are going to continue to lose money in Europe forever. How long is that strategically viable?" a person familiar with the industry said. Many potential suitors for Opel in Europe have already found dance partners, however, industry officials said. Fiat CEO Sergio Marchionne said on Tuesday the Italian automaker -- which had bid for Opel in 2009 -- had no interest in buying Opel and had found its partner with Chrysler. Analysts had seen Fiat as the most likely European partner for Opel, leaving Asian players as the next option. 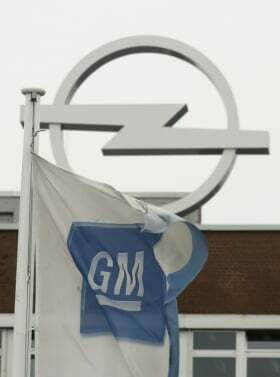 One earlier report linked Opel with China's Beijing Automotive Industry Holding Co. (BAIC), although analysts and industry officials dismissed that talk since GM is already closely aligned with SAIC Motor Corp.
That is where the threat of a sale could pressure Opel's hourly workers to consider wage concessions. Pressuring the workers for cost savings is made difficult by the combative Opel labor leader Klaus Franz, who currently has the backing of Berlin. While Akerson, the former head of buyouts at private equity firm The Carlyle Group, is impatient and wants to see progress made, German politicians and labor representatives see no need to make heavy concessions simply to do Detroit a favor, the people close to Opel said.